With a Mercury Prize and a Scottish Album of the Year award already under their belts, Kayus Bankole, Alloysious Massaquoi and Graham ‘G’ Hastings would have been forgiven for resting on their laurels. Instead, with the brilliant Cocoa Sugar, Scotland’s most exciting cultural export raised their game again. On 2014’s Dead and its follow-up White Men Are Black Men Too, the trio tackled race, global conflict and media-induced passivity. These struggles play out on Cocoa Sugar too, but this time they delve deeper into the personal too: love, faith and self-realisation. Born out of a “need to be uncomfortable again”, if a band this knotty and wilful could ever be said to have a comfort zone, Cocoa Sugar is a record for escaping it in their own inimitable fashion. Opener See How kicks off with synths that stab and tinkle, before an effect that sounds like a door hinge squeaking and a weary vocal kick in. Meanwhile the distant, dusty drums of Fee Fi feel like they've been beamed in from the aftermath of a crate digging session with DJ Shadow; its final rapped verse looms out of the murk, distant and oblique, as if it’s being chanted in some distant basement. Cocoa Sugar is a record that enshrines the trio’s reputation as musical magpies, flitting between electronica, hip-hop, gospel and more. In My View is as danceable as anything they’ve produced, and the rare track that manages to be both wistful and imperious, mixing distinctly British slang ('greedy bugger') with a fearsome statement of intent: 'Nothing’s ever given away'. In 2017, the group produced a film for the National Portrait Gallery’s touring exhibition Looking Good: The Male Gaze from Van Dyck to Lucian Freud, which saw Bankole shadow-boxing in front of a series of paintings while his bandmate Alloysious Massaquoi’s spoken-word piece described 'the endless gazes of dead, random white dudes.' It was a confrontational image, taking a sledgehammer to prevailing notions of the classical art canon while simultaneously positioning Young Fathers at the forefront of an exciting new culture. Turn opens with wall-shaking bass and sibilant vocal delivery, and builds around the key line: 'I didn’t work this damn hard / To stay where I belong,' pushing back against all of those telling you to stay in your lane. These tracks shuffle and mutate, rarely staying the same for more than half a verse, revisiting ideas in a new context; Turn is no different, with a twisted second half that becomes startlingly abrasive with dense synths and pitch-shifted vocals. This dichotomy plays out time and time again on Cocoa Sugar; aggression rubbing up against beatitude. 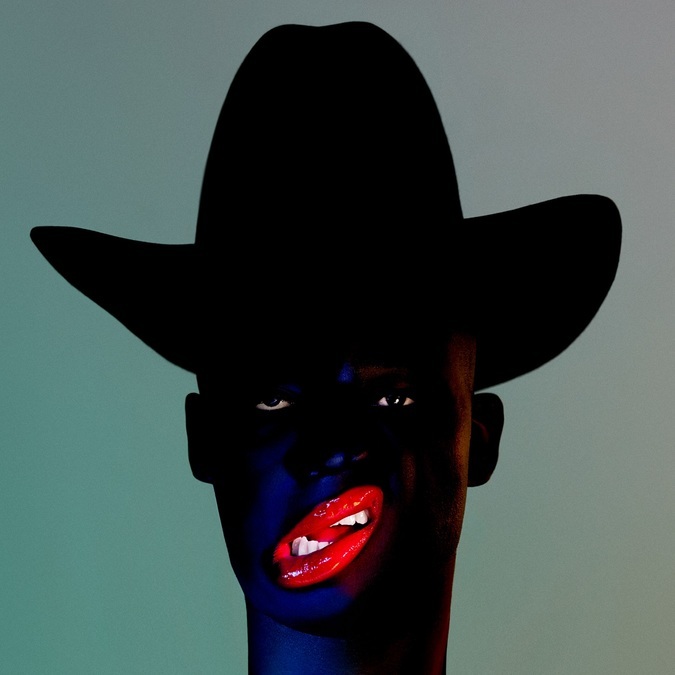 With a primal scream playing out in the background, Prince-like coos from Bankole, and Massaquoi’s dispassionate dissection of ego and distinctive 'shoobedowop' backing vocals, the propulsive electronic Wow perfectly captures their free-roaming approach to both sounds and structures as they paint a dark picture of a world that treats consumption as self-care. Toy questions whether seismic ambition can live alongside domestic duties, while the restive, repetitive rave of Wire is a party anthem – 'Oouya fucker / I can dance / Oouya fucker / I can love' – that still manages to question whether hedonism is enough. Only on closer Picking You do the band seem to find a degree of content, crooning 'I’m picking you and you / Coz that’s all that seems to matter to me lately' on a gloriously overstuffed track, complete with organ, marching drums and massed vocals. In the past, Hastings has spoken about wanting to make records that represent “culture as it really is.” With this album, the Edinburgh trio have made a record that’s restless and messy, elliptical and enlightening. It’s a record about life, and how if you stand still you’ll miss it. And for that reason we all need a spoonful of cocoa sugar.